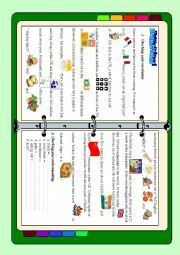 WITH THIS WORKSHEET YOU CAN IMPROVE YOUR STS´ LISTENING, SPEAKING, READING, AND WRITING SKILLS . MAKE YOUR CLASS MORE EXCITING .IT HAS 2 PAGES. HOPE YOU LIKE IT. THANKS FOR YOUR DOWNLOADING. 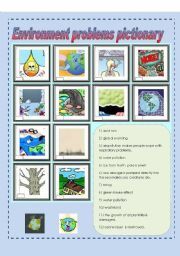 Use this worksheet to help you students improve their SPEAKING,WRITING skills on topic POLLUTION, HOW TO SOLVE POLLUTION PROBLEMS , It has 2 pages. hope you will like it. Thanks for downloading. 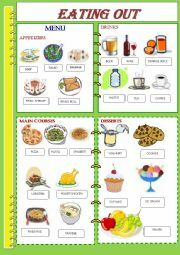 This is another way to encourage your sts to learn new words on food topic and improve their reading skill. It is also the interesting way to let them know something about British culture. Hope you like it. Use this ws to lead to your lesson on topic ENVIRONMENT. 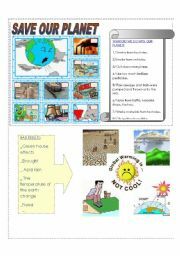 you can use this ws with the worksheet SAVE OUR PLANET to make your lesson perfect. http://www.eslprintables.com/printable.asp?id=340924#thetop. Hope you like it. Thanks for downloading. 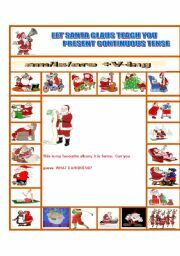 Christmas is coming , and this worksheet will help you to motivate your sts , they will be eager to attend your lesson , easy to remember the PRESENT CONTINUOUS TENSE and review vocabulary about DAY ROUTINES as well. I hope you will like it. 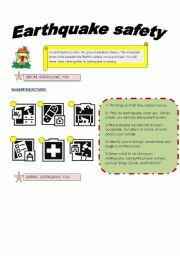 You can use this worksheet to help your sts to have some ideas to speak or write about EARTHQUAKE, HOW TO LIVE IN EARTHQUAKE ZONES. 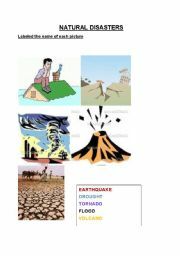 You can also use the worksheet NATURAL DISASTER (http://www.eslprintables.com/printable.asp?id=312991#thetop ) to lead your lesson (warm up). I hope it will helpful. 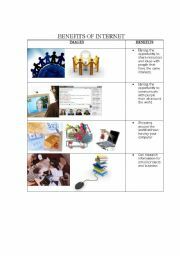 THIS POWERPOINT WILL HELP THE STUDENTS HAVE SOME IDEA TO TALK ABOUT FAMILY TOPIC. 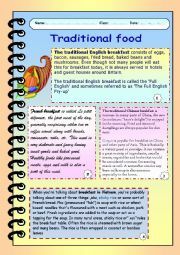 YOU CAN ALSO USE THIS TO GUIDE THEM TO WRITE ESSAY. HOPING YOU LIKE IT.